Joe Edmonds committ to The University of San Francisco! Keith Clark catches a pass thrown by Gary Forbes from out of bounds and behind the backboard and then goes through his legs before slamming it home. 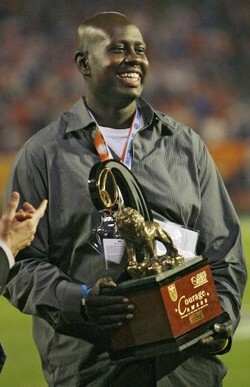 Even as cancer ravaged his body, the smile that personified Wilson Holloway never left. Athletes First 4th Grade swept the entire bracket (5-0) in the Edmond Basketball MAYB Bonanza and took 1st place in the tournament. They also competed in the 10th Annual Denton Summer Shoot Out in Denton, TX and finished (4-1) in 2nd place. 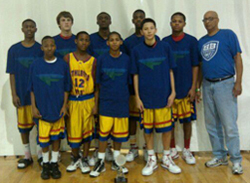 Front row left to right: Kyle Madison, Nattorel Gabriel, Taylor Williams, Trey Nolen. 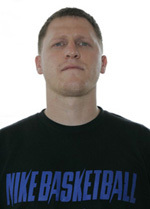 Spangler was easily the most dominant player on the court in every game he participated in and has earned the Gatorade Player of the Year for Oklahoma. 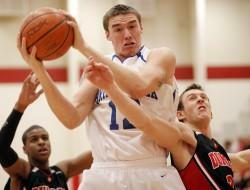 Bridge Creek's Ryan Spangler has been named a Parade All-American. He’s already been named the state’s Gatorade Boys Basketball Player of the Year and there are surely more honors to come for Bridge Creek star Ryan Spangler. Now, he’s an All-American, too. "A week of instruction and fun with the biggest and brightest star." 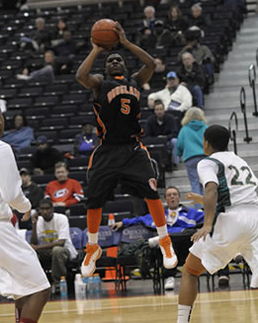 Stephen Clark led Trojans to repeat state title by contributing 16.1 points, 4.0 rebounds and 3.4 steals per game. 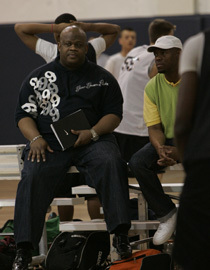 The Nike Triple Threat Combine was held in Oklahoma City on March 19 - 20, 2011. 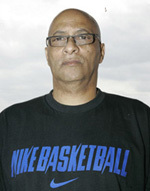 It has become an annual tradition that this event is loaded with talented players of all ages. This year’s event certainly did not disapoint as to talent. The Combine drew a record of 110 players from throughout Oklahoma in addition to players from Texas, Kansas, and Arkansas. It has long been a State wide event, but has now expanded into a Regional event. 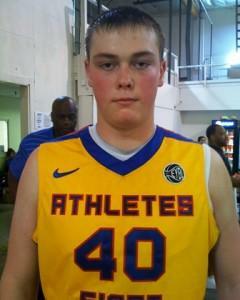 Matt Christiansen 6’8” 230 McGuiness MM+ to HM future..Strong, scores around basket, good hands, lots of good qualities. 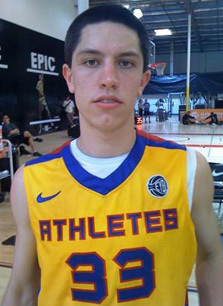 Sean Young 6’10” 205 Bixby MM to MM+ could get HM looks based on size as project. Joe Edmonds 6’5” 190 McGuiness D-I future Brings a lot to the table. James Woodard 6’3” 170 Edmond Memorial D-I future Is very crafty. Antoine Burrell 6’7” 200 The Colony A D-I future for this DFW Metroplex player. Terrell Savala 6’2” 170 Edmond Santa Fe liked his feel for the game. Paco Jones 6’4” 220 NW Classen versatile, grows on you the more you watch. Aaron Anderson 6’3” 190 Edmond Santa Fe handles, drives, and has a nice stroke. Richard Shields 6’ 1’ 190 Moore came in as a relative unknown, I really liked his game. Phabian Glasco 6’6” 190 Tulsa Washington Has an excellent future. 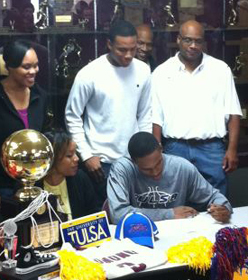 Juwan Parker 6’4” 185 Tulsa Washington HM mature, great body, versatile, does a lot of things. 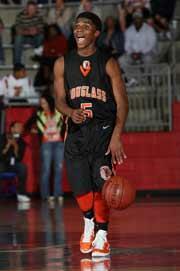 Steven Clark 5’10” OKC Douglas MM+ to HM has played on very good HS teams. I like the way he has improved his handles and overall ball skill during the past year. Has not played PG in the past but will probably convert. Shaquille Morris 6’8” 260 Edmond Santa Fe definite D-I future. A BIG kid. I like the way he has improved over the past couple of years. A high ceiling. Jordan Woodard 5’11” Edmond Memorial 180 Definite D-I future. A good body with a LOT of upside. Patrick Birt 6’5” 170 Plano West I like his overall perimeter skill. 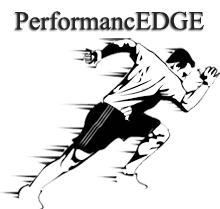 Versatile and can play several positions. David Bush 5’10” 165 Putnam City A D-I prospect. A bit smallish..however, I like his handles, speed, change of direction, pull-up ability, and overall stroke. Tanner Tepe 6’2” Heritage Hall good handles and can really shoot it. Nico Meadows 6’1” Capitol Hill good versatile perimeter player. Handles, drives, and a decent stroke. 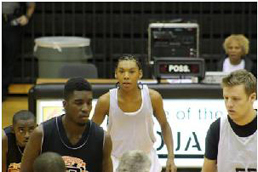 Marc Perry 6’0” 160 Putnam City made some plays and showed the abilty to stroke the 3. Zach Rogers 6’7’ 235 Holland Hall Big strong “Plodder” in the middle. Kevin Sims 6’1” 155 Tulsa Union WOW. Busted onto the scene. 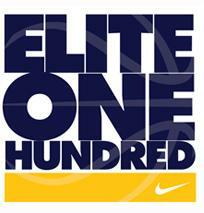 Showed excellent PG skill and a particularly good feel for the game for such a young player. Handles, passes, etc. I really like. Keep an eye on this youngster. Tre’Von Wilson 6’4” 255 Carl Albert Is a BIG young kid that also plays FB. Very raw but size at this ages certainly gives him a chance. Colby Koontz 6’5” 195 Pioneer Pleasant Vale Definite D-I Future!! I DO NOT like to put evaluations on kids this young, as SO many things can come into play. However, this kid shows the body and physical maturity of a Jr./Sr. in HS. 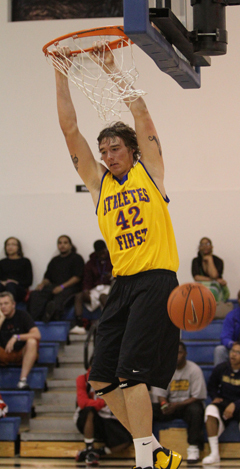 Plays the perimeter and can stroke the 3 and really play!! Douglas Moore 6’5” 180 OKC Middle School Excellent Future. Thin, can run, good hands, can score a bit on inside. Cole Staton 6’5” 210 Christian Heritage Already shows ability to score around hole. Jakolby Long 6’3” 185 Summitt Middle LOOK OUT. This youngster has a chance to be the real deal! Handles, drives, and can shoot the 3. Shows a LOT of promise and special skill for someone of this size and age. Curtis Haywood 6’1” 145 Milwood Middle Is long and athletic with a lot of skills. Shows a TON of promise for the future. This kid also is one to really watch for the future. 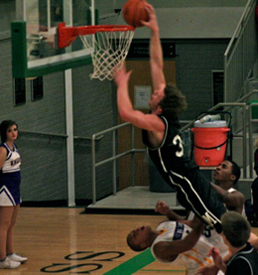 Matt Christiansen brought the crowd to its feet with this dunk Saturday night. Allonzo Trier is accustomed to being the center of attention. He was the focus of an eight-page spread in The New York Times Magazine in 2009. He's the No. 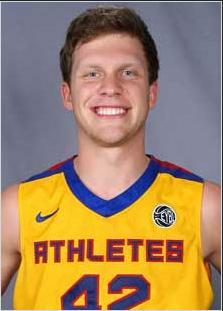 1-ranked basketball prospect for the class of 2015. Trier, a 14-year-old Oklahoma City resident, is a frequent flier, too. He has spent a good portion of his life being flown around the country as Amateur Athletic Union teams seek his playing services during the spring and summer. That search ended in 2010. 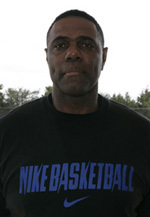 After moving from the Seattle area, Trier met Athletes First coach Gary Vick. The two immediately connected, and Trier said he knows there is no better person to help guide him along. After all, Vick helped launch the basketball careers of former Oklahoma high school stars and current NBA players Blake Griffin and Xavier Henry. “He's always trying to find the positives in everything, and he's been a big help so far,” Trier said of Vick. 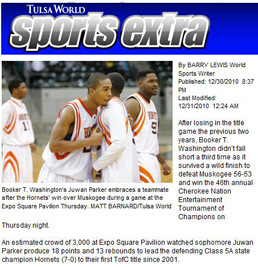 Trier has been a starting guard for the homeschool power OKC Storm despite being an eighth-grader. Entering the year, Bishop McGuinness boys basketball coach Tondrell Durham knew his team was in for some major adjustments. Moving to Class 5A wasn't as big as people think. During Durham's reign, the Irish have routinely played an ambitious schedule against top teams in 5A and 6A. Is This Kid Good or What??? 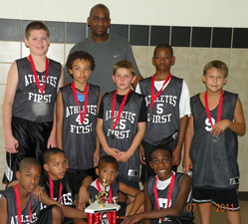 Athletes First defeated the Defenders Select 73- 69 to capture the 13 and Under championship in Houston, Tx. The Division I Legislative Council approved one part of a plan aimed at cleaning up the recruiting environment in men's basketball and will seek feedback from the membership on several companion proposals. Thirty-one seasons later, the Hornets' latest standout, Juwan Parker, has become the first sophomore to win the Tulsa World's state player of the year award. "It's amazing to even have my name be mentioned with a player as Wayman Tisdale," Parker said. Parker, a 6-foot-4 guard, averaged 16.4 points and 10.8 rebounds per game to lead the Hornets to the Class 5A state title and only their second undefeated season as an Oklahoma Secondary School Activities Association member. The Hornets' second consecutive state title was their OSSAA boys basketball record 15th. 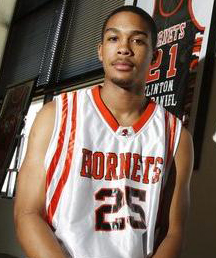 Parker is the first Hornet to win the World's state player of the year award since Antonio Reed shared the honor in 1999. "He is wise beyond his years," Hornets coach Shea Seals said. "Juwan is one of the hardest workers I've ever coached. This year, he expanded his game with his 3-point shooting. He has remained humble and continues to improve." Opposing coaches also can see Parker's maturity and improvement. "Juwan is the smartest player I have to prepare for," said Central's Eli Brown III, whose 5A quarterfinalists gave up 21 points and 13 rebounds to Parker on Dec. 14. 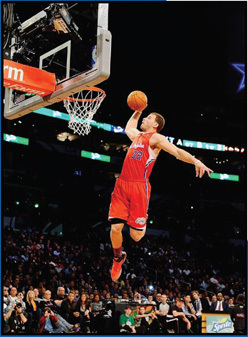 "His basketball IQ is through the roof. He's pretty athletic as well." As a freshman, Parker didn't make his first 3-pointer until the state tournament. This season, he was 25-of-62 from beyond the arc. The Hornets routed most of their opponents, but he thrived in their few tight games. Their closest call was a 71-70 overtime win at East Central on Feb. 15. 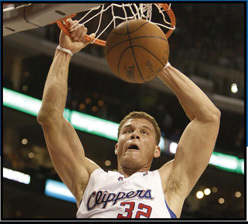 He scored the winning basket off a rebound in the last seconds. In the Tournament of Champions final, Parker had four points in the last minute of a 56-53 win over Muskogee 56-53 and was the MVP. 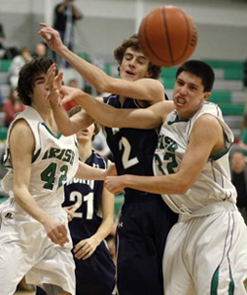 Parker had a strong state tournament with 43 points and 31 rebounds in three games. "It was a great year," Parker said. "It was better winning it the second time. We had more camaraderie. We all matured. It will be fun to look back at this 20 years from now." 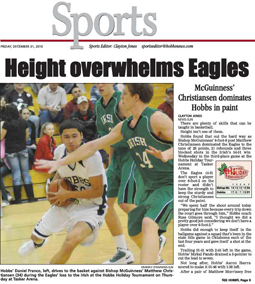 Parker had a season-high 25 points against Webster on Jan. 28. Look for his scoring to rise next year as the Hornets graduate eight seniors. "He could've scored more this year, but didn't really need to," Seals said. "I expect we'll see some 30 (points)-20 (rebounds) games from him next year. Juwan is truly a coach's dream. Before he's done, he could finish as one of the best players to ever play at BTW."